Domestic and international travel for plastic surgery is becoming more and more common. Some countries are even encouraging their medical communities to become world centers for plastic surgery. 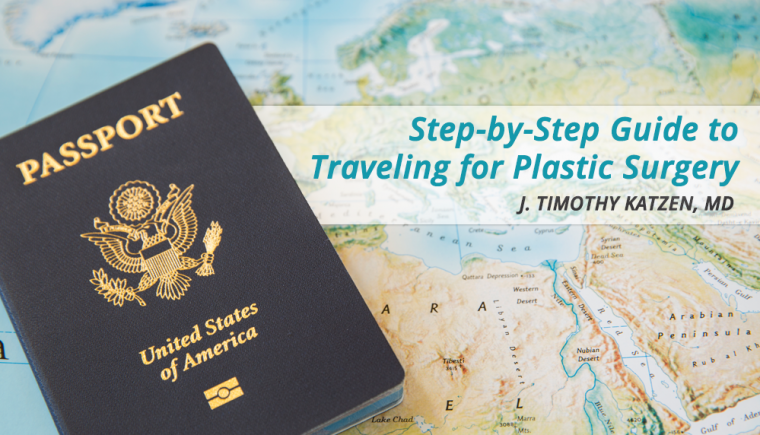 If you are considering traveling for plastic surgery, there are several issues you should consider. Below is a list of things I would suggest you do before you travel for plastic surgery. Research your selected plastic surgeon as much as possible. Search the Internet. Try to find out as much information as possible about your chosen plastic surgeon. Carefully examine all their before and after pictures. Do you see photos of patients like you? If they are indeed an expert in their field, your plastic surgeon should be able to provide hundreds of before and after pictures on their website. If they cannot, there may be something suspicious. Additionally, your chosen plastic surgeon should have videos either on their website or YouTube evidencing and showcasing their work. Before committing to surgery, you should carefully follow your plastic surgeon on social media platforms like Instagram and Snapchat for several months. Ideally, physically meet with your plastic surgeon once or twice before the proposed procedure. Also, in this era of digital technology, there is a multitude of virtual reality consultations that can be scheduled. I routinely use Skype, FaceTime, and BOTIM. I always advise spending as much as you can afford to find the best possible plastic surgeon. Do not skimp. Do not go with a particular plastic surgeon to save money. Realistically calculate how much you can afford to spend, and then find the best plastic surgeon you can for your desired procedure. For some patients, that means that you will either have to travel across town, another city, another state, or even to another country. Consult with that plastic surgeon. If necessary and money is an issue, tell your potential plastic surgeon that you have only “X” amount of money to spend. Many plastic surgeons are willing to negotiate prices. There are many reasons why the cost of plastic surgery is less in other countries. Cost variation does not necessarily have to do with the quality of medical care, but rather with associated expenses. Typically, your plastic surgeon’s office overhead will drive the cost of the plastic surgery procedure. In the United States, one of the most substantial expenses for board-certified plastic surgeons is the cost of malpractice. In the US, the cost of malpractice varies from plastic surgeon to plastic surgeon and types of plastic surgery cases performed. Malpractice costs also vary from city to city and state to state. In the end, the cost of malpractice is passed onto the patient. Other countries have different medical-legal rules. Some countries do not have medical malpractice. This severely eliminates your rights as a patient, but without the expense of malpractice, the price of the plastic surgery procedure is usually significantly decreased. Before you travel, I would suggest that your local general or internal medicine physician examine you. They know you best. Your physician should order all the appropriate blood tests and studies required by your plastic surgeon and any other tests they see fit. Before surgery, I would have all your laboratory results done in the US. This way there is no question of verification. Many times your plastic surgeon will expect these results from another country. These results can be transferred to your plastic surgeon. If there are any lab results in question, these can be worked up locally and ideally, treated before your procedure. If your blood tests and exams are clear, you should obtain a letter of medical clearance for surgery from your internist. This should be in addition to your plastic surgery clearing you for surgery. If you were traveling out of the country, this letter provides further assurance that you are healthy for the proposed procedure. Also, you do not want to travel out of the country only to discover that your procedure is canceled due to lab abnormalities. Also, if anything does go wrong during or after surgery, you have a letter from a United States physician stating that you were healthy for the proposed operation. Be sure your tickets are in order. I would suggest you book and confirm your ticket to your destination. However, for your return trip, I would recommend you have an open ticket. This means you should be able to change the date of your return without financial penalty. If something happens to delay your departure, you do not want to lose money on your plane fare because you needed to stay several extra days or weeks to be monitored. If you are traveling abroad, you need to be sure your passport is up-to-date. Depending on the country, you may also need a visa. I would strongly suggest you purchase additional travel insurance for your airfare. Also, I would recommend buying extra medical coverage that could cover illnesses that you develop while traveling. Be sure your accommodations are confirmed and secured. Be sure your transport to and from your plastic surgeon’s office is arranged. Your plastic surgeon should be able to revive a list of accommodations. Most plastic surgeons have deals or affiliations with hotels close to their office. Most plastic surgeons can also arrange for transportation to and from their office if needed. If you have pets, plan to have someone to watch your pets. Plan to have your mail forwarded or have someone pick up your mail. During your absence, prepare to have someone check your house. Be sure you have your phone and charger. If you are traveling internationally, you may need a voltage currency converter. Be sure you have your laptop, power cord, and charger. If you are traveling internationally, you may want to contact your phone company to increase your data limits. If you take prescription medications, make sure you have enough pills for your entire trip. Most other countries have entirely different names for drugs. It is important to notify a loved one, let your significant other know that you are traveling for a plastic surgery procedure. It would be best if you had a contact you trust know of your intentions. I would not suggest you sneak off to have plastic surgery. If there are complications, I am sure you do not want your loved ones to be surprised and concerned. 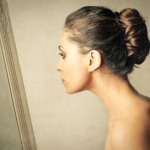 Once you arrive at your designated plastic surgeon’s facility, things should go smoothly. Whether you are a local, domestic or international patient, your plastic surgeon should have the surgical process run smoothly. Every plastic surgeon performs surgery slightly differently. However, you should do your research and be sure your plastic surgeon is not on the extreme outer fringes of the practice of plastic surgery. 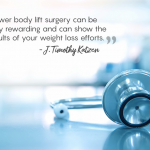 Your plastic surgeon will have their particular way to take care of you after the surgery. In many other countries, narcotics are more heavily regulated than in the US. In some countries postoperative Schedule 2 narcotics like Percocet, Norco, and Demerol are not allowed to be prescribed. Instead, less strong medications like Tylenol, Tylenol with codeine, and Tramadol are prescribed. This means, if you are sensitive to pain, you may want to reconsider traveling abroad. Another problem is that if you are dispensed narcotics for pain, you may have difficulty crossing the international borders with those narcotics. Even though you may have incisions, bandages, and even a doctor’s note, US border patrol may give you some difficulty. Additionally, it may be challenging to obtain pain medication from a US doctor for a procedure performed abroad. Therefore, I would suggest working with your hometown internist who cleared you for the surgery; perhaps; they can dispense pain medication in anticipation of postoperative pain. It is essential that you have some way to communicate with your plastic surgeon. You should be able to call him or her on the phone quickly. Additionally, you should be able to send digital pictures of any areas of concern. If video communication is necessary, you need to determine what video conferencing platform would be mutually convenient. Also, you need to consider if there are post-operative problems, who will take care of your issues in your hometown. Most plastic surgeons do not want to take care of other plastic surgeon’s complications. Therefore, I believe it is essential for you to establish clear communication with your plastic surgeon before surgery what happens in the event of complications. One of the main concerns with traveling for plastic surgery is the risk of potential immediate and especially, long-term complication. One major concern with traveling out of town for plastic surgery is who will take care of you when you return home. Most plastic surgery procedures proceed uneventfully. However, if you are a high-risk patient and you undergo a complicated procedure and have a post-operative complication, this makes your post-operative care even that much more complicated. If no local surgeons are performing your desired procedure and have no experience in the procedure, they may have no idea how to treat complications stemming from the procedure. The three most important complications in most plastic surgery procedures are an infection, dehiscence (wound break down) and embolus (blood clots). To minimize infections, I would highly suggest you have your antibiotic prescription filled in the US. There is a significantly increased chance of blood clots developing after any surgical procedure. Additionally, traveling by plane and any immobility for an extended period substantially increases the chances of developing a blood clot. Therefore, I recommend no traveling for four to five days (at minimum) after the surgical procedure. To minimize the chance of a blood clot, I would suggest you purchase a sequential compression device before you leave the US. I would recommend you use the sequential compression device during the post-operative period. Also, to further minimize the chance of a blood clot, I would highly suggest you use a blood thinner like Lovenox as a blood thinner. Medicine is not an exact science. Discoveries and new techniques emerge every day. This is especially true in plastic surgery. Unfortunately, nothing in medicine is perfect. Every surgical procedure (even plastic surgery) carries inherent risks. Whether you have your surgery performed locally, within the US, or internationally, complications can and do occur. In the unlikely event of a complication, you need to have done your research. Like the Boy Scout motto, “be prepared”. If complications do happen, you must have an action plan. Who will take care of you? Will you have to travel back to your original surgeon or will a local doctor assist in your care? Traveling for plastic surgery should not scare you, however, just like local patients, you should be prepared for potential complications.